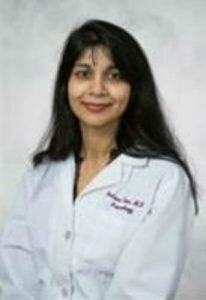 The American Health Council is proud to recognize Indrani Sen Hightower, MD as an affiliate of its Physician Board. She has spent the last two years as a Neurologist at the South Jersey MS Center at Bromley Neurology. Her expertise focuses on Neurology, Clinical Neurophysiology, and Multiple Sclerosis. Dr. Indrani Sen Hightower attended Robert Wood Johnson Medical and earned her MD in 1999. From there, she went on to the Thomas Jefferson University Hospital to complete her fellowship and residency where she primarily focused on learning about Neurology, and Neurophysiology. In 2003-2004, she was elected to be the Chief Resident of Neurology at Thomas Jefferson University due to her academic merit. During that year, she did oral presentations teaching fellow residents the fascinating anatomy of neuronal connections, and pathologic diseases of the nervous system. After her year as the Chief Resident, she completed her Clinical Neurophysiology Fellowship under Dr. Enrica Arnaudo and Dr. David Dougherty. She credits her parents for her decision to go into the medical field. Since a very early age, her parents taught her to treat patients with honesty, integrity, and compassion, and that becoming a physician was a noble profession. They instilled in her the concept that saving a patient’s life, and improving their quality of life was the most rewarding feeling at the end of a busy day. During medical school, Dr. Hightower was initially undecided as to which subspecialty training in which she was interested. Her inspiration to become a neurologist came serendipitously, while she was living with her mother-in-law, who developed gradual personality changes, and difficulty writing in the year 1999. Dr. Hightower adored her mother in law, who was a vibrant woman, who was generous, giving, and had a great personality and sense of humor. Her mother-in-law took her into her own home as if Indrani was her own child, while she studied medicine. In the time that Dr. Hightower lived with her, Indrani noticed gradual a painful loss of a woman she loved dearly, who had been vivacious and witty become progressively more apathetic and confused. Eventually, it was discovered that her mother in law had a very aggressive brain tumor, Glioblastoma Multiforme. Her condition, unfortunately, became fatal within six months of her diagnosis. After her mother-in-law’s neurosurgery, Dr. Hightower became passionately interested in preserving a patient’s cognition from disease states. She became interested in the science behind the illness. She found herself appreciating the complexities, the genius, and the invention contained in the most complex of organs present in the human being – the human brain. Dr. Hightower made it a personal mission to understand, diagnose, and treat the diseases of the human brain. She wanted to preserve her patient’s individuality, their creativity, their imagination, their genius, especially in neurodegenerative conditions, and to cure these processes to give them their selves back if possible. Ultimately, she attributes her success to her parents who encouraged her with a strong work ethic. They were Dr. Hightower’s biggest inspirations in her mission to making a difference in other people’s lives. To this day, she considers her biggest professional accomplishment as having the ability to improve the quality of life for her patients. Dr. Indrani Hightower has been the recipient of many prestigious awards throughout her career, such as the 2010 Top Physician Award. She also became Board Certified in Psychiatry and Neurology and is a member of the American Association of Neurology and the FLA Medical Association. In her spare time, Dr. Hightower enjoys playing guitar, painting portraits, and reading science fiction stories. She aspires to write a science fiction novel one day. Dr. Hightower only wants to change her patients’ lives for the better and hopes she can bring them a positive outcome in any of their ailments. Currently, for the past two years, Dr. Indrani Sen Hightower has been working at South Jersey MS Center at Bromley Neurology with Dr. Steven Bromley and Dr. Preis. This is the first infusion center for the most advanced of multiple sclerosis medications in South Jersey, and there are two locations, one in Audubon, and the second one in Linwood, NJ. Her future goals are to treat and possibly help cure Multiple Sclerosis one day, and she is currently working with the National Multiple Sclerosis Society to advance public policy regarding patients who have been disabled and have multiple sclerosis. 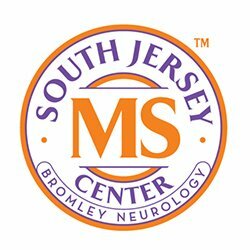 The South Jersey MS Center comprises a team of physicians, nurse practitioners, nurses and medical assistants who specialize in the comprehensive diagnosis and treatment of multiple sclerosis. The South Jersey MS Center has the largest independent private infusion suite in the State of NJ which delivers the most advanced FDA approved therapies for this debilitating neurodegenerative condition that affects over 19,000 individuals in the state of New Jersey. The Center offers both acute ambulatory care for patients experiencing disease flare ups as well as more long-term solutions through disease modifying therapies that can alter the course of this neurodegenerative disorder. The South Jersey MS Center also offers the state-of-the-art treatment in the newest FDA improved injectable medications for migraines, which have reduced migraine frequency and severity by up to 50-70% in most patients. The South Jersey MS Center offers emergency abortive therapy, and infusions and treatments for migraine headaches at both the Linwood and Audubon locations. Staffed at specialized Neurological practice that focuses on the care of Multiple Sclerosis patients. Spent eighteen years within her profession, two at her current position. Expertise in Multiple Sclerosis, Neuroscience, General Medicine, Headaches, Epilepsy, Movement Disorders, Neuromuscular Junction Disorders and Alzheimer’s Disease.